It's been a busy couple of weeks for LEGO, with the release of the first wave of The Last Jedi sets, the official announcement and subsequent marketing campaign for the release of 75192 UCS Millennium Falcon and its VIP Early Bird release on September 14th/15th. Even though we are only half way through the two-day Early Access period the game is over and we can start the post-game review. So how did it go? It depends on whether you got one or not - despite LEGO customer service going into over drive to provide clear and precise information to all enquiries there was quite a bit of mis-information and rumours floating around. 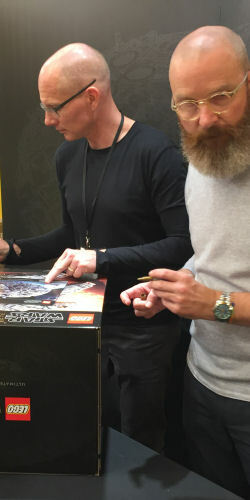 The biggest concern was going to be stock levels at the participating LEGO Brand Stores (Certified Stores and Discovery Centres were not part of the VIP Early Access) and LEGOLAND parks, and while LEGO did its best to gauge demand at each of its outlets there were some who went away empty handed. By and large those who descended on the LEGO Brand Store stocks did well and there were only a few reports of customers going away without making what would probably be their single most expensive LEGO purchase ever. Sadly there were a number of sales that have ended up on eBay at inflated prices. Where LEGO probably out did itself - and inadvertently caused fan irritation - was at their LEGO Brand Store in Leicester Square, London which hosted a gala night with Jens Kronvold Frederiksen and Michael Lee Stockwell, the major influencers in the set's design, giving a talk and signing sets purchased at the VIP Early Access event. 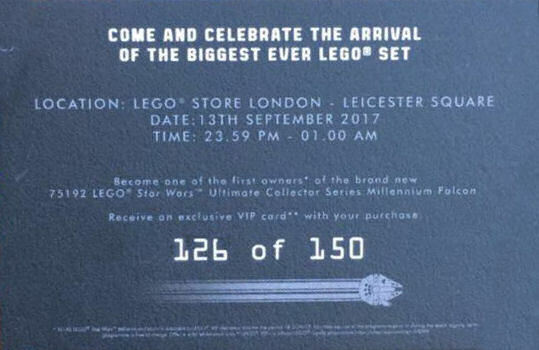 Unfortunately, despite announcing that there were 150 sets available for purchase at 12:01 on September 14th, LEGO only had 100 of the special edition VIP cards in collectors cases for the event, meaning that 50 of the luckiest people in London would go away feeling unlucky. 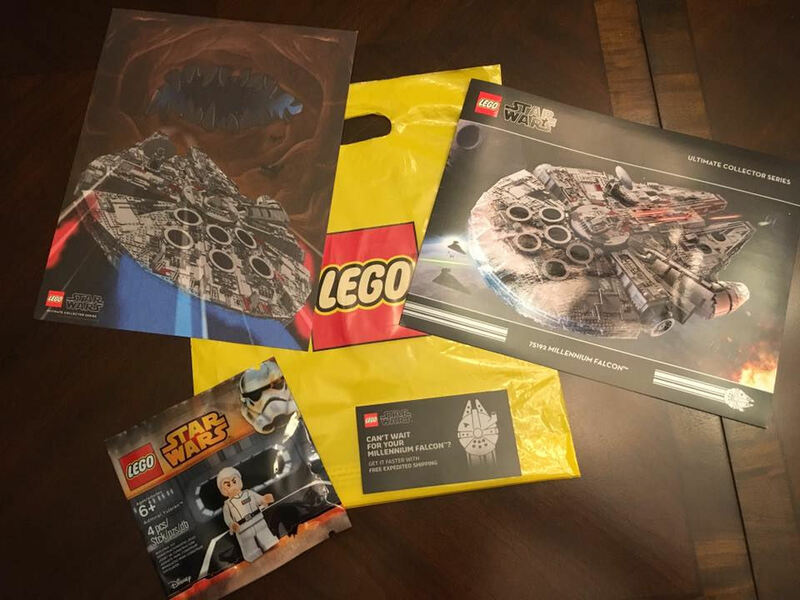 One very lucky person won a free UCS Millennium Falcon via a scratch card competition LEGO ran. Similar stories from around the world are being repeated, reports Brick Fanatics, with stock allocations selling out quickly after many LEGO Brand Stores saw people starting to queue up the day before. The set was entirely sold out at UK LEGO Stores earlier today, with the LEGO Store at the Westfield Sherpherd’s Bush running out within twenty minutes. 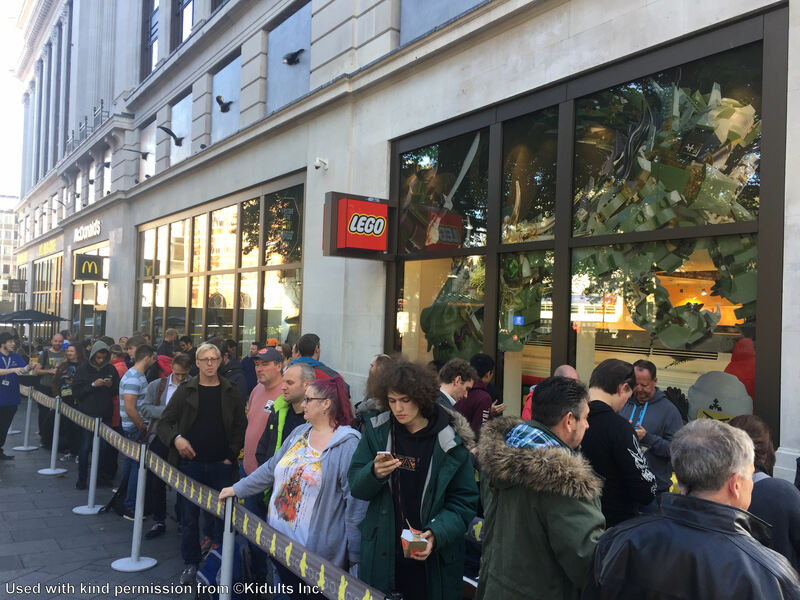 The LEGO Store in Brighton had 16 of the sets in stock, with fans queuing up from 8.30am before the store opened at 9am. Everyone who was in line got one, but the stock was gone immediately. 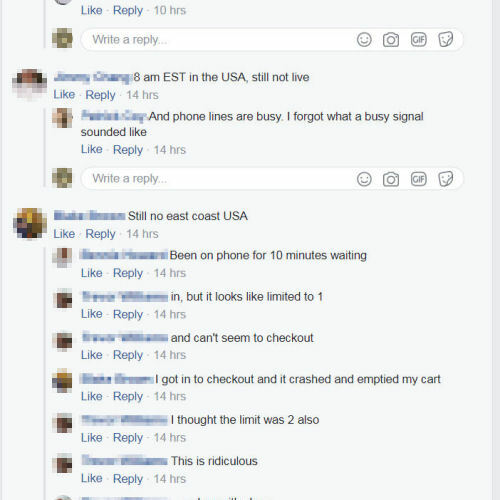 Over in the USA, the Delaware LEGO Store had completely sold out within 30 minutes of opening, with a similar story looking to be common across the US. Wisely LEGO issued numbered cards to those who planned to camp out at the Leicester Square store, allowing them to come back and re-insert themselves into the line at midnight. Other stores had goodie bags ready for those who lined up but weren't lucky enough to be early enough to make the cut. Online it was a frenzy of click/wait/refresh, click/wait/refresh, click/wait/refresh as fans from around the world swamped the LEGO shop@home website to get their orders in. 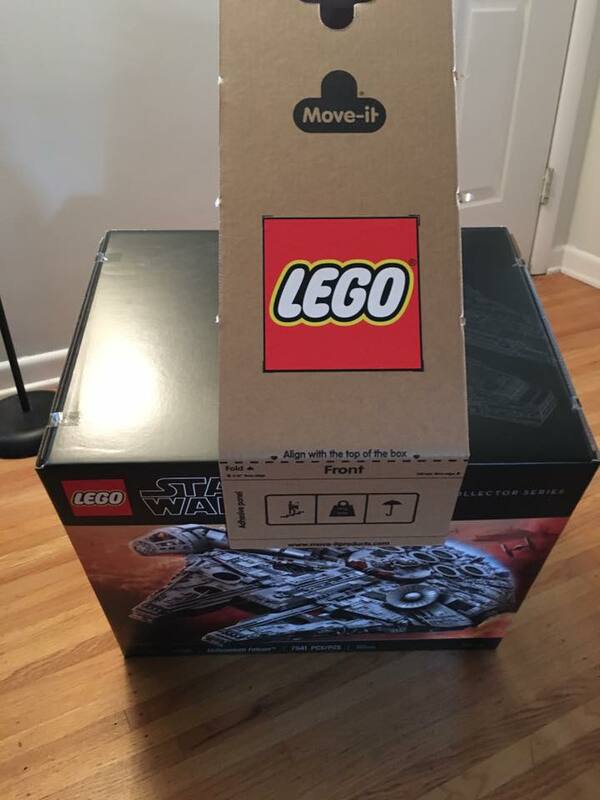 With the strain of the site's traffic increasing the load sharing eventually caused a number of server failures and LEGO.com had to put sporadic holds on sales in order to more evenly distribute the weight of traffic as more regions of the world began to have access to the much anticipated "Add To Bag" button. Causing a great deal of confusion - and adding to the stress on the LEGO shopping portal - was the start time for each region. While the UK had a clear zero hour with the opening of the Leicester Square store, other regions that had a number of time zones in its border - like the US and Canada - had people on one side of the country hitting the website hard; hours before the allotted time had been reached. But soon enough the entire globe - or at least those people in regions that LEGO ships too - were able to make their purchase. As long as they were quick enough, because stock numbers quickly went into free fall. And while running out of sets is a perfectly understandable occurance with a bricks and mortar LEGO shop it's not such an obvious answer for their online store. It didn't take long and region after region started to display "Coming Soon" or "Out of Stock" messages, prompting fan forums and Facebook group members to share their opinion, and many threads read like a real time unfurling of frustration. But at the end of the day, whether you managed to buy one or not, at least you weren't the person who got home to realise that he had just paid out $800 for this fail. Or the couple who found themselves the only people lined up outside their LEGO Brand Store, only to discover they had stood at the wrong door for an hour. 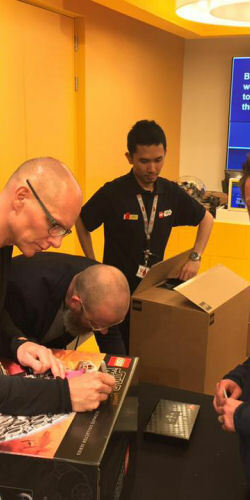 The main criticisms being levelled at LEGO centre surround the confusion over when different regions and time zones could start ordering, nonsensically staggering the release around the world, not having sufficient bandwidth to accommodate the traffic at the LEGO shopping website, not enough online stock and different stock level messages in different regions. Of these complaints what are the takeaways that LEGO should be rectifying? 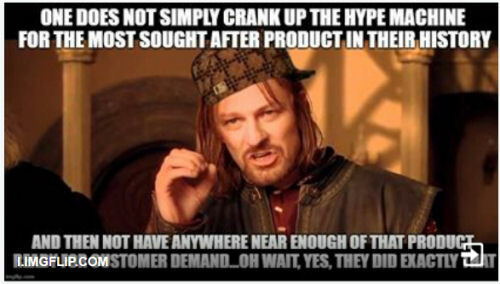 That their initial publicity campaign did more to hype up the set than they expected and that they didn't provide enough relevant factual information is the first thing that any customer satisfaction specialist would point out. A single information page at LEGO.com would have been a great starting point. Instead of a "More Information" button that took site visiors to the LEGO Star Wars shopping portal, a page with regional purchasing details - like starting times, prices and shipping costs - would have gone a long way to reducing frustration and the number of people refreshing their browsers on the off chance that they might have got the time wrong. The same can be said about the limited edition VIP card. Very little was known about this in advance, and again the "More Information" link took visitors to the LEGO Star Wars shopping page. To then create an event exclusive collector's edition and turn it into the secondmost sought-after LEGO Star Wars collectible in circulation was a serious misjudgement of their fan's patience. But the bottom line is that it's a toy - no matter how much emphasis we put on LEGO or Star Wars it is still just a toy and we all regress to our nine-year old selves once we get to open these sets. So why not be that nine year old boy or girl at the start of the experience instead of at the end? I'm sure we'll all come away in a better position to leg godt. The 75192 UCS Millennium Falcon goes on general release at LEGO Brand Stores, Certified Stores, Discovery Centres and LEGOLAND Parks, as well as LEGO.com, on October 1st, 2017. October 2, 2017 LEGO: What Happened On D-Day?